During the years immediately after the transfer of power from the Qajar Dynasty to the Pahlavis, because of the prevailing insecurity and measures taken by the new Monarch (Reza Shah) against chaos, and the control imposed on the borders and in the cities where severe censorship was imposed, there were little opportunities for artistic activities. This applied to cinematography as well, which developed in a very limited way up to 1948. During World War II and for some years following it, because of conditions imposed by the war, opportunities presented themselves to the world of the cinema in the West, to make a new realm through documentaries. But in Iran the cinema was in its infancy with fiction just beginning to emerge. The first studio for filmmaking and dubbing, named Mithra Films, was established by Dr Esmail Koushan (graduate in cinematography from Germany and Austria). He dubbed into Persian two Turkish films by the names of Escapee Girl and Gypsy Girl. The appreciation shown by Iranian spectators for these two films encouraged Koushan to dub another three films: Stone Hearted Woman, Taras Bulba, and Silence of the Night, which were again very well received by the Iranian cinemagoers. 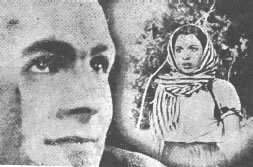 Then Mithra Films Studio itself produced the first Iranian film named Storm of Life (1948), which was made completely by Iranians with a director from the theatre called Ali Darya Beigui. The screenplay writer was a poet and literary man called Nezam Vafa. The music was composed by two masters of the Iranian music: Rouhollah Khaleghi and Abolhassan Saba; the lyrics were by Rahi Moayyeri and the singers were Gholamhossein Banan and Mrs Iran Aalam. The film was inaugurated by the daughter of the Iranian Monarch, Ashraf Pahlavi. This film had a commonplace screenplay and many technical shortcomings, so that, although it was the first film in the Persian language, it failed and Mithra Films was dissolved. 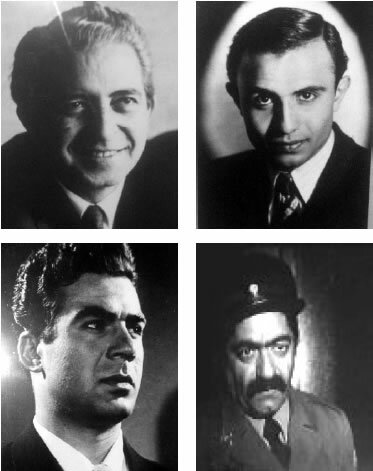 Three years later Dr Koushan established Pars Film Studios with its first production being, The Prisoner of Emir (1949), in which Ms Marziyeh performed four songs composed by Esmail Mehrtash and Hosseinali Mallah. This film also failed and Dr Koushan faced another great disappointment. He then made another film, the Spring Spectacle (1949), whose actors were Ezzatollah Entezami (in the role of raw-almond peddler) and Nasser Malakmotiee, Taghi Zohouri and the actress Mrs Shokat (Jaleh) Olove. Again Koushan faced failure and loss. These failures, simultaneous with the great successes of imported foreign films, brought about the first clash between art and commerce in the Iranian cinema. Dr Koushan was a risk taker and always searched for a way of making good Iranian films, and he finally produced, The Shamed, which proved to be a great success being based on some of the then social conditions in Iran: Tehran under occupation with foreign soldiers everywhere, extraordinary power of military men, increase of the number of night clubs, escape of village girls to the cities, deceit and shame everywhere, filthy coffee houses, street singers and dancers, courts of law, treacherous city boys and innocent village girls, murder and revenge, love affairs with unhappy endings. These were the topics for the country's film-making industry for the next thirty years (1948-1978). In 1951 seven films were produced by the names of: Troublesome, Intoxication of Love, Mother, Hunting at Home, Golden Dreams, Parichehr, and the best seller of all, White Glove which sold 2,600,000 rials, quite a sum at that time. Vagrant was the best film of the year 1952. The story was about a young vagrant who saved a bag snatched from a girl by a few thieves, and this brave action caused him to become friends with her and eventually, to marry her. But later, bad friends made him a gambler, and this made him to lose everything he had. Nasser Malakmotiee, the most famous actor of the time and of many years to follow, played the role of this young vagrant. Neglect (1953) and Whirlpool (1953) with the same basic theme and again the same main actor (Malakmotiee) were also best-sellers of the times. The other films of those years were Golnesa (1953), Troublemaker Spouse (1954) and Love's Thief (1952). Majid Mohseni was the actor of the last film, and from then on became increasingly popular. (In fact because of his popularity he later became a deputy of the parliament). Love's Thief was the first comedy film of the times and was very strongly admired by the people. The Enchanter (1952), a film that offered a few lovely songs by the actress and singer Esmat Delkash (the famous and favorite singer of those years), was another production, which was greatly welcomed by the people of those days. The Iranian cinema was gradually turning into a serious industry and as the people involved gained experience better films were made and this helped to promote the country's cinema. But unfortunately the local filmmakers were still quite ignorant of the new transformations that were taking place in the West.